In our previous post we explained the areas of web designing. In this post we will elaborate one area that is color. Color has different names like Shade, Tint, Hue and Chrome. In olden days people used to make colors using natural elements and these colors were also limited. Now we have many different shades of a single color made by using chemicals and all. There are two types of colors. 1) Pigment colors- colors that we use for painting on paper, canvas, fabric, glass etc. and for printing purpose. Internet is an electronic media and the colors we see on the screen of our computer or television or mobile are light colors. Electronic media make light colors visible to human eye. 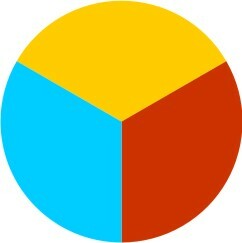 Yellow- Red- Blue – Primary colors are basic colors, that are original colors and are not the mixture of any two colors. 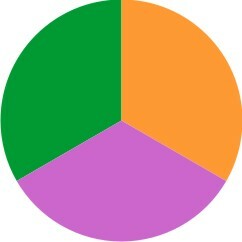 Orange – Violet – Green – These are secondary colors and are the mixture of primary colors e.g. 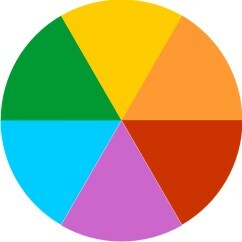 Color- wheel plays very important role in color theory. All the color theories are based on this color wheel. Color scheme is a combination of different colors. Here are some color schemes created considering color wheel containing primary and secondary colors in color theory. 1) Mono chromatic color scheme- Mono means one. Color scheme which contains any single colors and it’s light and dark shades. 2) Achromatic color scheme- Achromatic means without colors. Black and white are not considered as colors in color theory. So black and white color scheme is called Achromatic color scheme. It is not like we have to follow these color schemes while designing. But if you are confused with colors or got stuck with any color issue, following these color schemes is the best solution. Alternatively, send us an email with your query. 1) A Web site is a collection of information about a particular topic or subject. A Web page consists of information for which the Web site is developed. 2) Collection of HTML files that reside on a web server and present content and interactive interfaces to the end user in form of Web pages. Designing of a website/web page starts with concept. But what exactly is concept? Concept is an Idea, a visual approach through which we communicate with the people who visit our website. Concept is everything, Overall look, content and the structure of the website. Like if we are a software company, Our visitors would be our clients, any other software company or people willing to switch the job. So considering the above points and the interest of our visitors, we would design our website that would appeal to our target audience. The website should have very professional look, highlighting the services of our company, informative and providing the links considering their interests. That is how the concept of website depends on the subject. 1) Corporate colors- Grey, black, sky blue, dark blue, light yellow. 2) Masculine colors- Blue, any shade of grey and black, white. 3) Feminine colors- Pink, Lavender, white. 4) Kiddy colors- Bright shade of any color. 5) Foody colors- Green- Yellow – Red. Third area of web page designing is Layout. Layout is the structure of the content on web page. Deciding layout is deciding the area of content. Remember the designing rules that we have been taught in college days? Golden Point- It is the basic rule. Even if you dont remember, Just take out pencil and paper and scribble out as many layouts as you can for your content and choose the one which is most attractive and applicable for your website.